- Designed for speed and productivity. - Unrivaled color and black-and-white image quality. 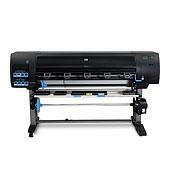 - Advanced color management backed by HP reliability. Our company is specialized exporter, manufacturer and supplier of HP Designjet Z6200 60-in Photo Printer in Indonesia.